Ages of Sail carries many of the ever popular Model Slipway ship kits. 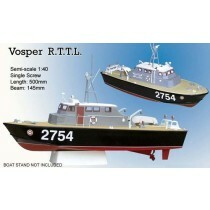 Made of high quality fiberglass and styrene, these ship kits are durable as well as detailed. Model Slipways come with highly detailed instructions and diagrams making them perfect for model makers of average building skill. All 11 of these slipway models are RC ready, making them even more fun than just building the model. These slipway ship kits look great, are accurately designed, and very enjoyable to play with, but they’re in high demand. Make sure to order your Model Slipway kit today!